This month in the Arts, we looked at different collections at the Currier, and based each week around them in an open studio format; that is, introducing the method, material, or technique to the kiddos and then allowing them to fully explore the art by themselves. The first week focused on painting flowers with acrylic paints. The second week focused on collage. The third week focused on Zentangle, a method of drawing lines and geometric patterns to create a larger abstract whole. For the third week, inspiration was drawn from Richard Anuszkiewicz and Faith Ringgold. 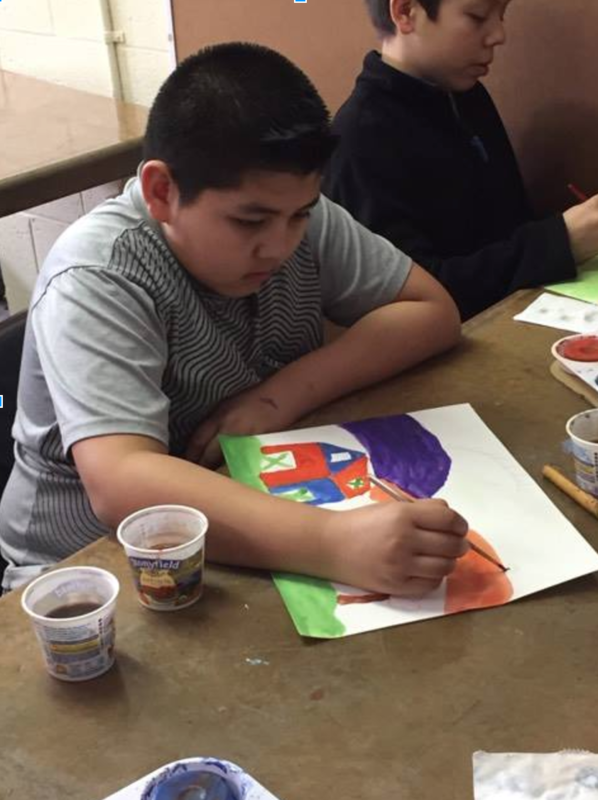 Several works created by the kids will be auctioned off at the Heart of the Arts gala held by the Currier.